“Life is too short to play it safe” says one criminal to another. 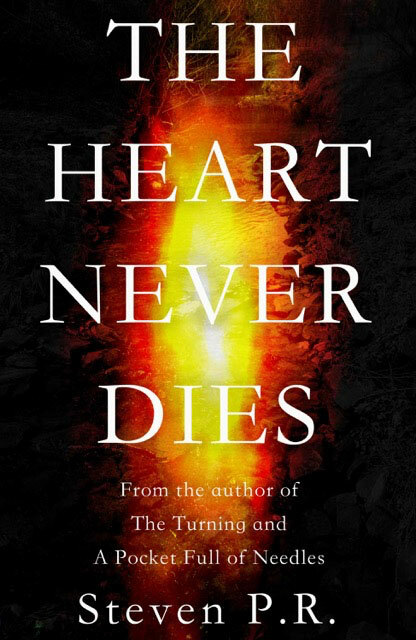 And that theme of dangerous audacity is the ever-present core of The Heart Never Dies, a blood-soaked story of vengeance. Bob Worthington is a broken, elderly man desperately trying to reconnect with his grandchildren who have been estranged since his adult son committed suicide. He jumps when he receives the chance to earn $800,000 for delivering a stolen art piece across the country – an ancient Egyptian statue called Sekhmet. But the job he’s hired to do, and the Sekhmet object itself, hold secrets which will change Bob’s life forever. This is the third book that I’ve read and reviewed by Steven P.R. (the first two being The Turning and A Pocket Full of Needles) and several of the same common themes are present here: hot pursuit, themes of justice and morality, and shocking horror. The Sekhmet statue in Bob’s possession is supposedly endowed with magical properties. According to Egyptian legend, the Sekhmet statues were used by Pharaohs to destroy their enemies. 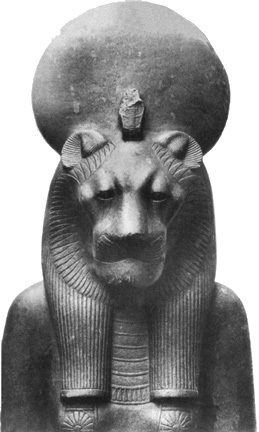 Sekhmet warriors were granted powers by the statutes. They lived for hundreds of years and had extraordinary strength and supernatural abilities, which eventually turned them into crazed, ruthless killers. To eradicate the source of their power and stop them, the Pharaohs destroyed hundreds of Sekhmet statues. Bob is in possession of one of the only known Sekhmet statutes still in existence, and it unexpectedly confers its mysterious ancient power to him. Appearances can be deceiving, and the moral condition of characters in this book is often in direct conflict with who they appear to be. An example from the opening scene: a Virginia State trooper who allows two kidnappers with a young girl in their trunk escape a traffic stop because they produce snuff films which the trooper is an enthusiastic fan of. The films are part of a series of snuff films called Tickle Me Time which is broadcast via the internet to an exclusive group of members who pay $1,000 a month for the privilege of witnessing people be tortured and killed. In The Heart Never Dies the villains are evil incarnate, and the protagonist is an every-man justifier suddenly enabled by an ancient deity. The assembly of the characters and scenes is reminiscent of a Tarantino film: abstract, colorful, plucky and savage. Justice and morality are strong themes, as several characters identify with a higher force that guides them to take dramatic action. At times it reads like a fantastically violent interpretation of the Bible, with a righteous protagonist guided by a moral obligation to do right. As in most Tarantino films, the conclusion is a bloody, poetic mess that almost no one survives. "Melanie woke up groggy as hell. The lampposts outside cast faint orange streaks through the blinds of the motel room. She rubbed the spot where Bob should be lying. The mattress was cold. She turned on the lamp atop the nightstand. Dark shadows fought the light. She strode to the bathroom and flicked the switch. She splashed her face with cold water. More awake." "The pulsing red eyes of Sekhmet were indicative of something. The cold breath it let out coursed through his body with some kind of mystical essence." As with the previous two books by the same author, I enjoyed this book and read it quickly. Like the others, it too possesses similar themes of supernatural powers, retribution, and answering a higher call. It is incredibly violent, and that certainly means this book is not for everyone. But if you're a fan of the lurid and highly animated style of Quentin Tarantino and Hunter S. Thompson, this is likely to be a book that you will really enjoy.